Step One's mask sheet is made of soft, moisture locking Tencel fabric that perfectly conforms to the contours of the face, helping the superpowered essence sink deeply into the skin. Formulated with Hyaluronic Acid, fermented Black Tea extract, and 'oxygen magnet' Fullerene to revitalize and oxygenate the skin. Skin feels smoother, softer, and fine lines are visibly reduced. Step Two harnesses the power of the original J. One Jelly Pack, helping to lock moisture into the skin and provide visible lift and firmness! To use: On a clean face, apply the mask over the entire face. Leave it on for 10 to 20 minutes. 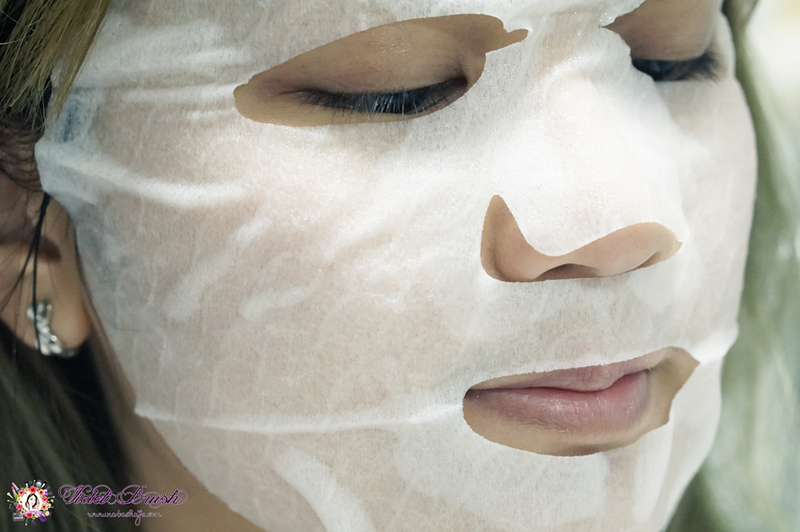 Then, remove the mask and apply the Jelly Pack Ampoule from Step Two onto the skin in gentle, upward painterly motions. 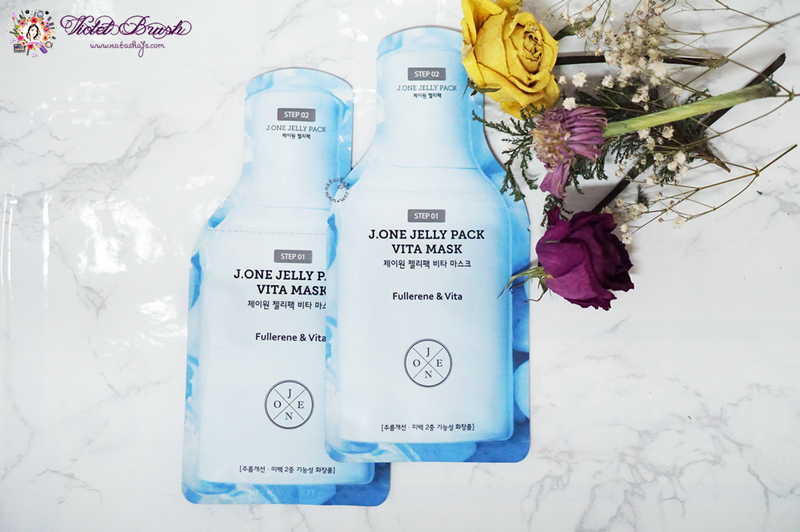 The mask sheet of J.One's Jelly Pack VIta Mask is made from Tencel fabric which is said to be able to lock down the moisture. It's pretty thick and durable. It has abundant essence which is almost odorless. Upon application, I could feel the cooling and relaxing sensation on my skin. I left it on for about 20 minutes and I was pretty happy with the result. My skin looked a bit brighter and softer, also moisturized quite well. However, I was pretty disappointed that it didn't really "lock" the moisture as it claimed. I used it at night, followed by J.One's Jelly Pack and J.One's Hana Cream, and in the next morning I found that my skin was pretty dry. P.S. Since I forgot to take before after pictures, you can go to my video review to see the comparison. 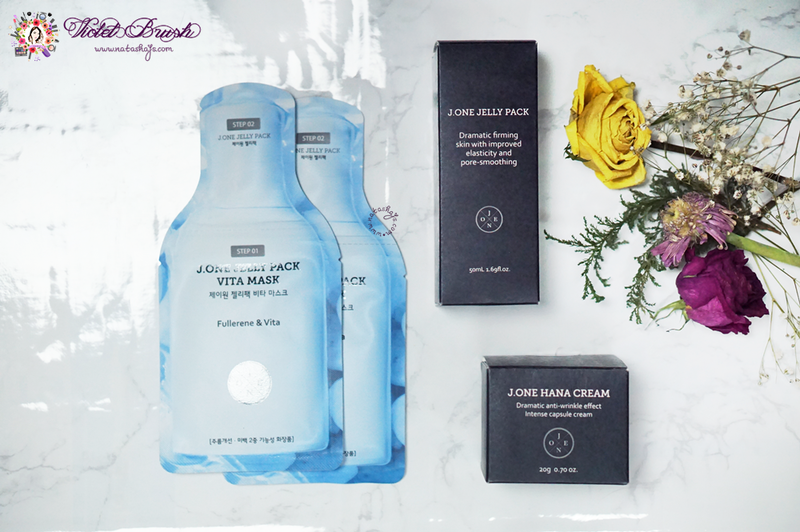 The J.One Jelly Pack can be applied to cleansed skin first thing in the morning as a multitasking treatment, mask, and primer—working to instantly hydrate and prime the skin for makeup. The unique, jelly-like texture liquefies onto skin with gentle patting and creates a canvas which helps to grip any makeup applied afterwards. Fullerene works to address free radicals and brighten the appearance of skin, while fragmented hyaluronic acid hydrates for a plumper appearance. To use: Apply two or three pumps to cleansed skin in an upward and outward sweeping motion, gently patting until absorbed. I always love it when skin care products comes in a pump bottle packaging. 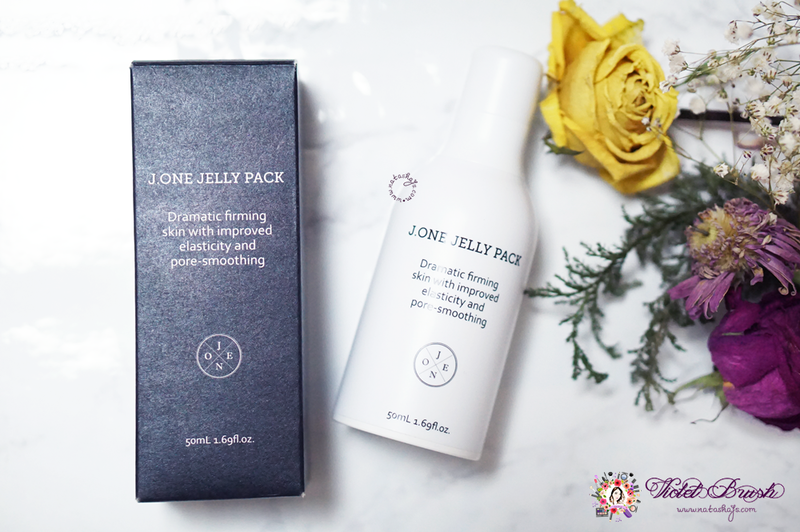 In addition, this J.One's Jelly Pack comes in a black and white packaging which is elegant and pretty classy, although the packaging doesn't make it look like it cost that much. However, I think that for a product with thicker texture, the pump's opening of this J.One's Jelly Pack is too small. I need a few pumps to get enough product to cover my whole face. 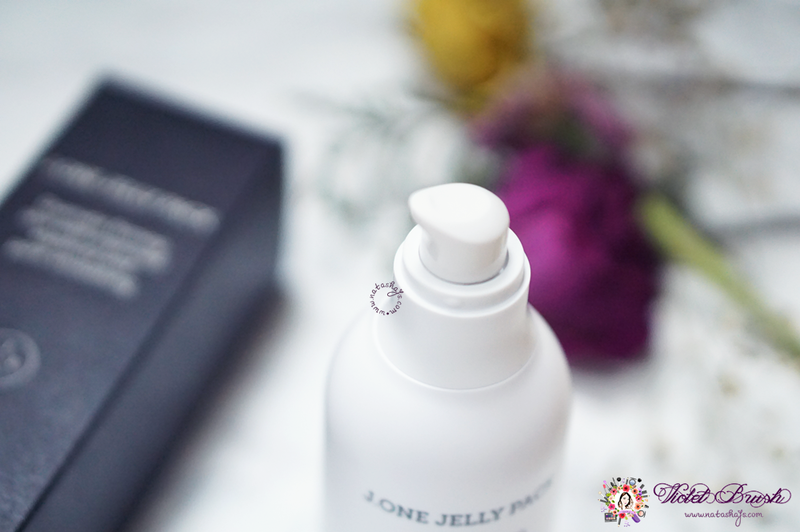 J.One's Jelly Pack has jelly-like texture which kinda feels watery when blended unto the skin. It feels quite thick and somehow sticky on the skin and takes some time to absorb. The thick texture makes J.One's Jelly Pack hard to blend, thus you need quite an amount of product to cover the whole face. Content: 20 gr / 0.7 Oz. 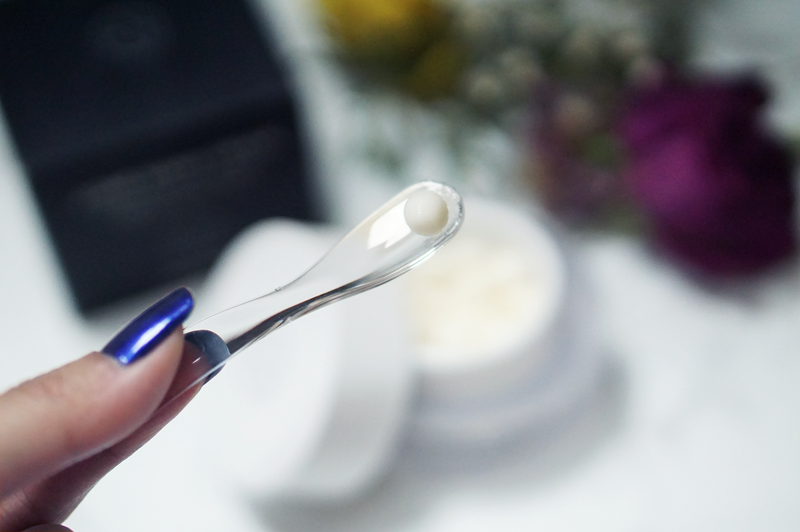 To use: After cleansing, toning, and serum steps, use the included spatula to portion out one capsule. Crush it between the palms and gently press it into the skin until absorbed. J.One's Hana Cream comes in a jar packaging and I love how they included a spatula inside to maintain the hygiene of the product. It also comes with a separator, which is nice, and the packaging looks way more expensive compared to the J.One's Jelly Pack's. 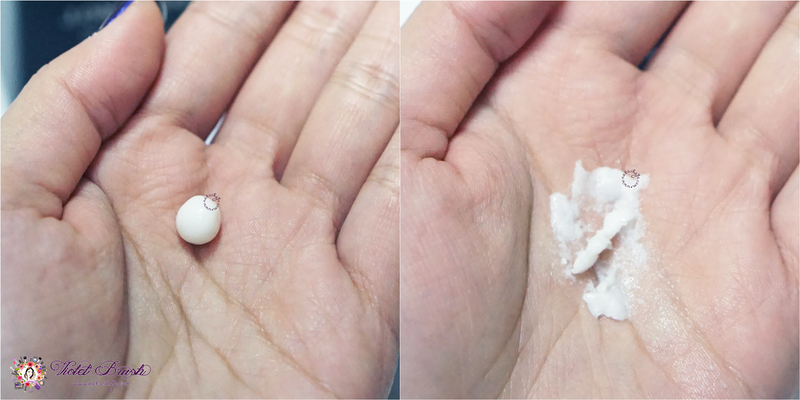 I seriously love how cute that J.One's Hana Cream comes in tiny pearls. 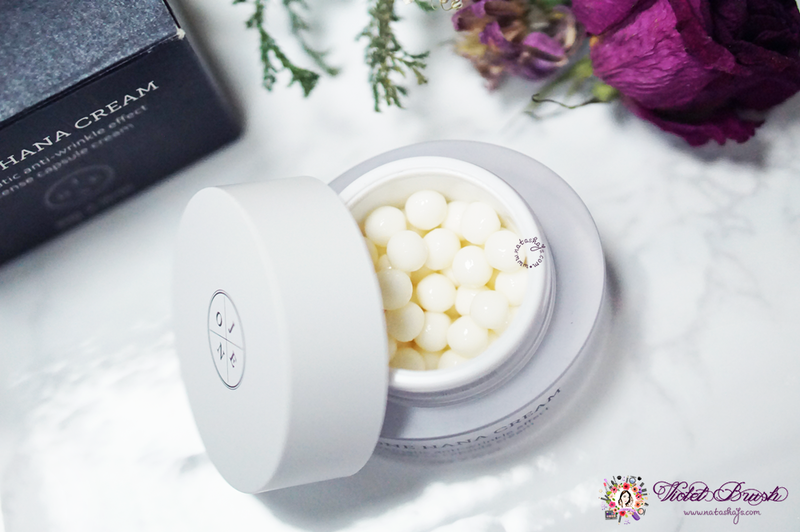 It's fun to crush melt the little pearls before applying it unto the skin. First of all, one pearl of J.One's Hana Cream is not enough to cover my whole face but two are too much. Even though it's fun to melt the pearl and all, the texture of J.One's Hana Cream is too thick to my liking. Compared to J.One's Jelly Pack , this takes much more time to absorb and way stickier on the skin. For something that is that sticky, it's not a good moisturizer either. Decent, maybe, but not that good because it couldn't handle my dry combination skin. 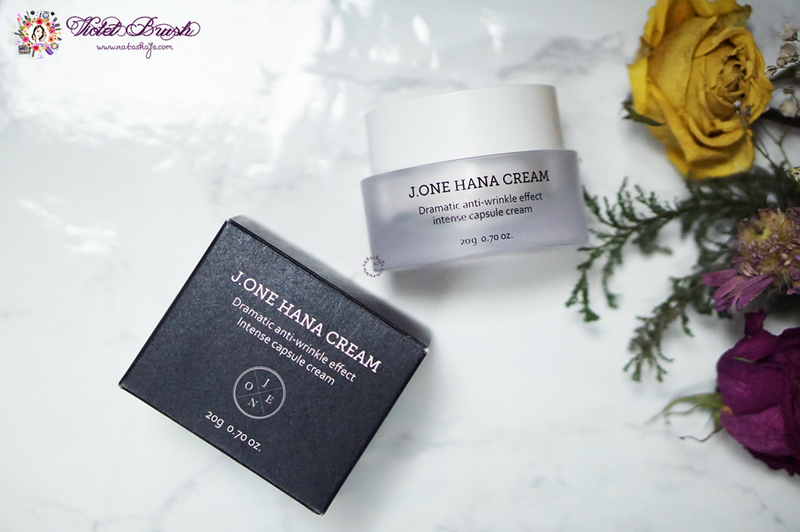 One huge turn-off for me is that this J.One's Hana Cream has a strong floral scent which is kinda like the floral scent of an old lady. The scent doesn't even go away after being applied unto the skin. I've been using both J.One's Jelly Pack both in the morning and at night, and J.One's Hana Cream at night for two weeks. I'm really amazed with the result, though. I feel like my skin got tighter, more elastic, smoother, and best, less pores visible! 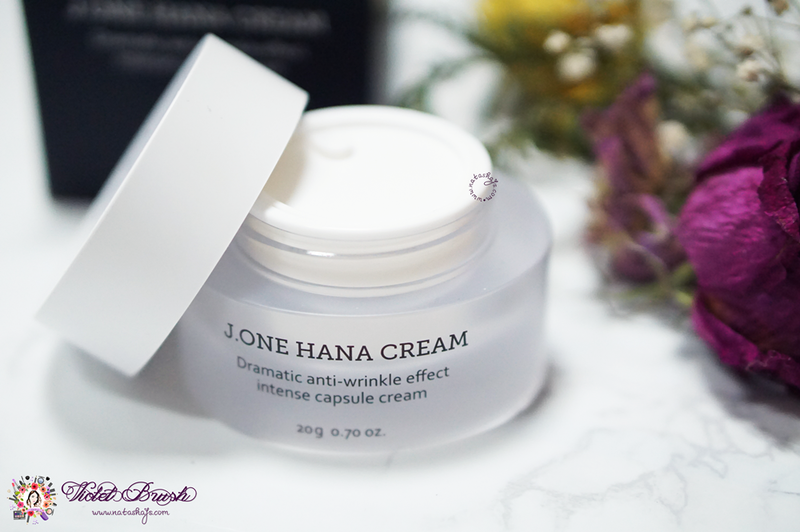 However, since J.One's Hana Cream is an anti-wrinkle cream and I have no wrinkles yet, I can't say much about the anti-wrinkle effect. A minus point from both is, they are not good moisturizer. I could say that J.One's Jelly Pack, especially, is not a decent moisturizer. Once I applied J.One's Jelly Pack only in the morning and then went out in a dry winter day and in just about an hour, my skin got really dry to the point that it felt like something was pulling my skin backwards. The same with J.One's Hana Cream, it's a better moisturizer than J.One's Jelly Pack but still not good enough. I'm not thrilled with the price, honestly. You can watch the review video on my YouTube channel too! 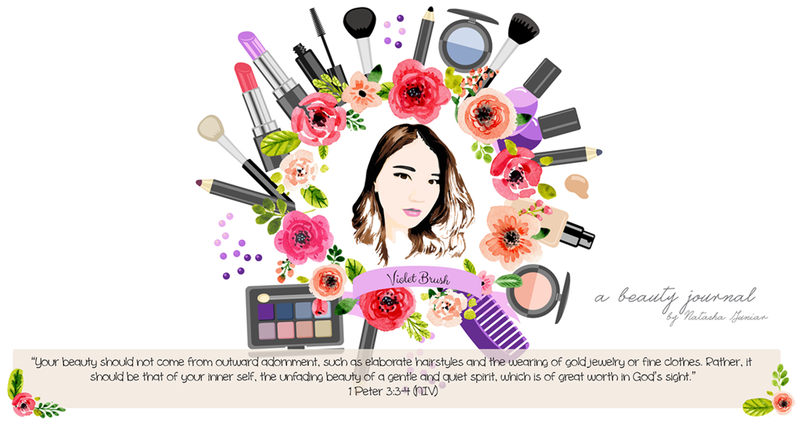 Readers, are you interested in trying J.One Cosmetics? Let me know by leaving comments below! 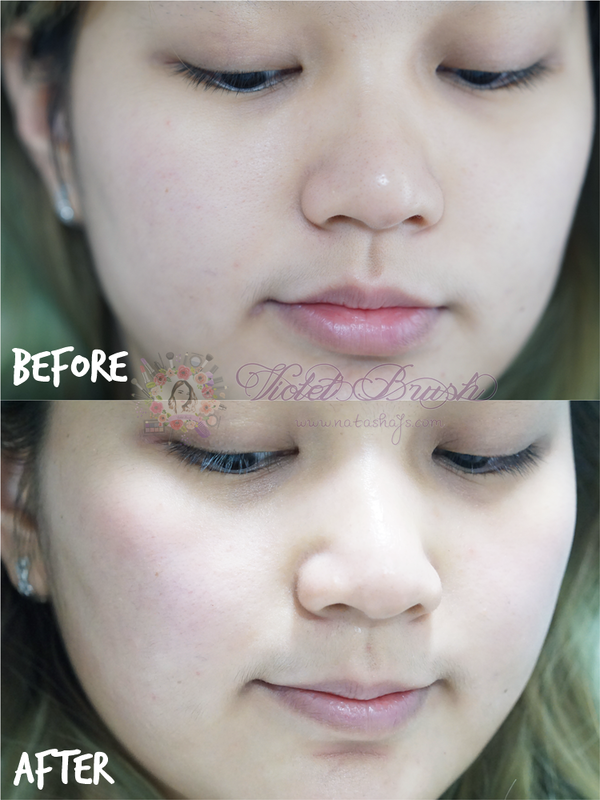 Iya harganya lumayan yaaa.. Dan tipe kulitku sama kering, jadi suka tricky juga kalo pakai skincare gini. Kalo mahal jd makin ngga worth it ya, huhuhu. iyaa huhu aku suka hasilnya tapi nga gitu suka rasanya di muka pas dipake :"